Jonathan is an Acccount Executive at Vision-e, a Salesforce partner that creates tools to quickly increase productivity and drive results. In a high-volume sales day, busy sales and marketing professionals may not have time to dig through hundreds of Salesforce AppExchange apps that could end up saving them valuable time and money. That’s why we’ve explored 4 applications on the AppExchange that exceeded expectations when evaluated based on the following criteria: high rate of adoption, simple user interface, positive user experience and effectiveness in increasing sales and marketing productivity. Whether you attend a tradeshow every month, have a stack of business cards in a desk drawer or collect business cards in outside sales – entering these into Salesforce takes up valuable time you could spend actually following up with leads. The developers of eContacts found most business cards don’t even make it into a CRM – losing potential business for companies. It takes seconds to turn a business card into a lead with eContacts. Take a picture of the card on your phone and the card is immediately uploaded to Salesforce. If you take advantage of the app’s powerful OCR, the app does all the transcription for you. We especially like the easy-to-use queue page in Salesforce. Once you have uploaded the cards you can easily make edits, take notes or set tasks for you or a co-worker within Salesforce. We recently fell in love with Ebsta, a Salesforce extension for LinkedIn and Gmail that makes using Salesforce to sell so much more efficient. The full application is free for up to 3 users, then they charge for any user after. 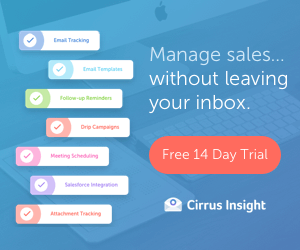 So if you have a small sales or marketing team, this is perfect for you. Set up is fast, with handy videos guiding you along the way. Ebsta adds a browser extension in Chrome so when you view contacts in LinkedIn, it automatically searches for them within Salesforce. With the click of a button, you can add that lead to Salesforce, all from their LinkedIn page. Ebsta also integrates Salesforce with Gmail and Google Calendar so you can choose Salesforce email templates, create follow up tasks and track email opens. When you connect your Google Calendar, it automatically syncs your events with your Salesforce Calendar. 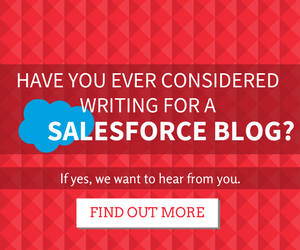 For companies looking to integrate customer feedback with their Salesforce organization, we suggest the survey tool GetFeedback. It’s a little pricy for its starter model with Salesforce integration at $144/month annually – but more affordable editions are available without the Salesforce capabilities. We like how easy it is to add questions in a visually pleasing template, making it a good survey-taking experience for the end-user. Once you build your survey, simply add the link to your email campaigns. GetFeedBack automatically emails you whenever a customer fills out the survey, allowing you to see their responses instantly. GetFeedBack also lets you add Contact and Lead forms to your surveys and website easily, with the fields mapped to your Salesforce organization. This time of the year, marketing departments create multitude of campaigns centered on free offerings or gift cards. The best app we found to manage this is Tango Card. Their free application for Salesforce is easy to set up and use. Create a free account on their website, load it up with your budget for gift cards, then you choose the Lead, Contact or Employee you want to send a gift card to and select the gift card and amount. Tango card sends the gift card through Salesforce and adds this as an activity on the Lead or Contact record, making it simple to track which records received a gift card in the future. We especially like the numerous choices of gift cards – from Starbucks, Amazon to Best Buy. 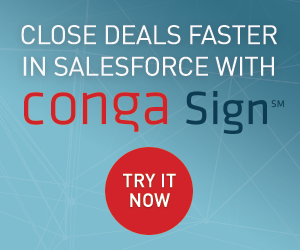 This is a great addition to your Salesforce organization for the holiday season! I didn’t knew about GetFeedback. This seems like an awesome. I’m pretty tired of the SurveyForce that I’ve been using for some time. Hey Atul, My company has just started using it and its a great bit of kit. these are really great tools, but for ebsta we found a better, faster, easier tool to save LinkedIn, Gmail, Twitter, Facebook,AngelList profiles into Salesforce leads.